Field sobriety tests are often used by police officers to try to establish probable cause for making a DUI or DWI arrests. Such tests, both in theory and in practice, are often not as reliable as law enforcement officials would like the public to believe, as the following article shows. That’s why it is important to hire a qualified defense lawyer to represent you if get a DUI arrest, DWI arrest, or if arrested on a drunk driving charge. Why not hire one of America’s DUI and DWI Defense Lawyers Attorneys to represent you? Beginning in the 1970's, the National Highway Traffic Safety Administration (NHTSA) conducted research into the possible development and validation of a battery of standardized field sobriety tests (SFST’s) which could then be used by law enforcement officers to improve the detection of drivers under the influence of alcohol (DUI). A second study combining laboratory and field-testing of sobriety tests was then performed. V. Tharp et. Al., Development and Field Test of Psychophysiological Tests for DWI Arrest, Final Report, DOT-HS-805-864 (1981). in determining whether a subject’s blood alcohol concentration was .10 or above. Several critics and groups have questioned NHTSA’s empirical data, and pointed to other significant problems that appeared in the studies. 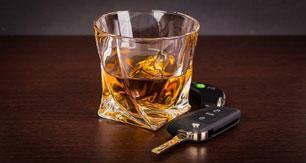 Spurgeon Cole & Ronald H. Nowacczyk, Field Sobriety Tests: Are They Designed for Failure? 79 PERCEP & MOTOR SKILLS, 99 (1994); Jonathon D. Cowan & Susannah G. Jaffe, Proof and Disproof of Alcohol-induced Impairment Through Evidence of Observable Intoxication and Coordination Testing, 9 AM. JUR. POF 3d, 459 (1990) Steve Rubenzer, Ph.D., The Psychometrics and Science of the Standardized Field Sobriety Tests, Part 1, The Champion, 48 (NACDL May 2003), Part 2, The Champion, 40 (NACDL, June 2003) (also available at www.stevenrubenzerphd.com). Between 1995 and 1998, three more field evaluation studies were performed. The Colorado Study utilized law enforcement personnel experienced in the use of SFSTs. It reported a correct arrest decision rate of 93%. The Florida SFST field validation study reported that correct arrest decisions were made 95% of the time when utilizing the 3-test NHTSA battery. The third study in San Diego suggested that the 3-test battery resulted in correct arrest decisions 91% of the time at BAC’s of 0.08 and above. NATIONAL HIGHWAY SAFETY TRAFFIC ADMIN., U.S. DEPT. OF TRANS. , DWI DETECTION AND STANDARDIZED FIELD SOBRIETY TESTING STUDENT MANUAL, HS 178 R2/00, Section VIII (2000). Critics have equally questioned the empirical data and reported reliability of these studies. In 1986, the Advisory Committee on Highway Safety of the International Association of Chiefs of Police (IACP) passed a resolution, which recommended that law enforcement agencies adopt and implement the SFST program developed by NHTSA. In 1992, IACP recommended the development of a system for the selection and training of SFST practitioners by nationally accepted standards. Many of these standards are found in the 2002 DWI Detection and Standardized Field Sobriety Testing Instructor and Student Manuals. The following three tests have been validated only for alcohol – not any other drugs. One of the foremost authors on field sobriety testing, who is sometimes referred to as the creator of the 3-test SFST battery for NHTSA, is Marcelline Burns. IF ANY ONE OF THE STANDARDIZED FIELD SOBRIETY TEST ELEMENTS IS CHANGED, THE VALIDITY IS COMPROMISED." " 8. How Flexible are the Standardized Field Sobriety Tests? THE STANDARDIZED FIELD SOBRIETY TESTS ARE NOT AT ALL FLEXIBLE. THEY MUST BE ADMINISTERED EACH TIME, EXACTLY AS OUTLINED IN THIS COURSE." "Begin by asking "are you wearing contact lenses", make a note whether or not the suspect wears contact lenses before starting the test. "If the suspect is wearing eyeglasses, have them removed. "I am going to check your eyes." "Keep your head still and follow the stimulus with your eyes only." "Keep focusing on this stimulus until I tell you to stop." "Position the stimulus approximately 12-15 inches from the suspect’s nose and slightly above eye level. Check the suspect’s eyes for the ability to track together. Move the stimulus smoothly together or one lags behind the other. If the eyes don’t track together it could indicate a possible medical disorder, injury, or blindness. "Next, check to see that both pupils are equal in size. If they are not, this may indicate a head injury. "Check the suspect’s left eye by moving the stimulus to your right. Move the stimulus smoothly, at a speed that requires about two seconds to bring the suspect’s eye as far to the side as it can go. While moving the stimulus, look at the suspect’s eye and determine whether it is able to pursue smoothly. Now, move the stimulus all the way to the left, back across suspect’s face checking if the right eye pursues smoothly. Movement of the stimulus should take approximately two seconds out and two seconds back for each eye. Repeat the procedure. "After you have checked both eyes for lack of smooth pursuit, check the eyes for distinct nystagmus at maximum deviation beginning with the suspect’s left eye. Simply move the object to the suspect’s left side until the eye has gone as far to the side as possible. Usually, no white will be showing in the corner of the eye at maximum deviation. Hold the eye at that position for about four seconds, and observe the eye for distinct nystagmus. Move the stimulus all the way across the suspect’s face to check the right eye holding that position for approximately four seconds. Repeat the procedure. "After checking the eyes at maximum deviation, check for onset of nystagmus prior to 45 degrees. Start moving the stimulus to the right (suspect’s left eye) at a speed that would take about four seconds for the stimulus to reach the edge of the suspect’s shoulder. Watch the eye carefully for any sign of jerking. When you see it, stop and verify that the jerking continues. Now, move the stimulus to the left (suspect’s right eye) at a speed that would take about four seconds for the stimulus to reach the edge of the suspect’s shoulder. Watch the eye carefully for any sign of jerking. When you see it, stop and verify that the jerking continues. Repeat the procedure. NOTE: It is important to use the full four seconds when checking for the onset of nystagmus. If you move the stimulus too fast, you may go past the point of nystagmus or miss it altogether. If the suspect’s eyes start jerking before they reach 45 degrees, check to see that some of the white of the eye is still showing on the side closest to the ear. If no white of the eye is showing, you have either taken the eye too far to the side (that is more than 45 degrees) or the person has unusual eyes that will not deviate very far to the side. "NOTE: Nystagmus may be due to causes other than alcohol. These other causes include seizure medications, PCP, inhalants, barbiturates, and other depressants. A large disparity between the performance of the right and left eye may indicate a medical condition." As per the NHTSA Training Manuals, if you observe four or more clues total for both eyes, it is likely that the suspect’s BAC is above 0.10. Using this criterion you will be able to classify correctly about 77% of your suspects with respect to whether they are above 0.10. ‘Place your left foot on the line’ (real or imaginary). Demonstrate. ‘Place your right foot on the line ahead of the left foot, with the heel of the right foot against the toe of the left foot’. Demonstrate. ‘Place your arms down at your sides’. Demonstrate. Cannot keep balance while listening to instructions. Record this clue only if the suspect does not maintain the heel-to-toe position throughout the instructions. The feet must actually break apart. Don’t record this clue if the suspect merely sways or uses arm for balance. Starts before instructions are finished. Record this clue if the suspect starts after being told not to start walking ‘until I tell you to begin’. Incorrect Number of Steps. Record this clue if the suspects take more or fewer than nine steps in either direction. Each clue is only scored one time even if more than one fault is seen. Two or more clues correctly classify 68% of the suspects as having a BAC of 0.10 or above. The officer should limit his movement while the suspect is performing the test so as not to distract the suspect. "Initiate the test by giving the following verbal instructions, followed by demonstrations. "Observe the suspect from a safe distance. If the suspect puts the foot down, give instructions to pick the foot up again and continue counting from the point at which the foot touched the ground. If the suspect counts very slowly, terminate the test after 30 seconds." "A. The suspect sways while balancing. This refers to the side-to-side or back-and-forth motion while the suspect maintains the one-leg stand position. D. Puts foot down. The suspect is not able to maintain the one-leg stand position, putting the foot down one or more times during the 30-second count." "Certain individuals are likely to have trouble with this test even when sober. People over 60 often have very poor balance. (Since very few elderly people are stopped at roadside, specific guidelines have not been established for them on this test. )....In administering the test, make sure the suspects eyes are open and there is adequate lighting for him to have some frame of reference... In total darkness, the One-Leg Stand is difficult even for sober people." NATIONAL HIGHWAY TRAFFIC SAFETY ADMIN., U.S. DEPT. OF TRANS., Improved Sobriety Testing, DOT-HS-806-512, p. 7 (1984). In one particular study, individuals who were completely sober were asked to perform the sfst’s and also a set of ‘normal-abilities’ tests. The ‘normal-abilities’ test was comprised of exercises and questions, which should be well known to individuals, such as one’s address, phone number, and walking in a normal manner. Performances for each type of test were then videotaped. 14 police officers were asked to view the videotapes of the 21 sober individuals with 0.00 blood alcohol concentrations doing sfst’s and normal-abilities testing. After viewing the 21 videos of sober individuals taking the standardized field tests, the police officers’ believed that forty-six percent of the individuals had "too much to drink". Fifteen percent of the officers viewing the normal-abilities videos thought the individuals had too much to drink. S. Cole & R.H. Nowaczyk , Field Sobriety Tests: Are They Designed for Failure?, Perceptual and Motor Skills, Vol. 79, pp. 99-104 (1994). The authors concluded that SFSTs must be held to the same standards the scientific community would expect of any reliable and valid test of behavior, and that SFSTs should be examined and judged critically. In another study, a series of experiments was performed at the Rutgers University Alcohol Behavior Research Laboratory to test the ability of social drinkers, bartenders, and police officers to gauge the sobriety of individuals. All three subject groups – the social drinkers, bartenders, and police officers– correctly judged the subjects level of intoxication only 25 % of the time. Psychology, Public Policy and the Evidence for Alcohol Intoxication, American Psychologist p.1070 (Oct. 1983). 5) None of the SFST field studies have been published in peer-reviewed scientific journals." Steve Rubenzer, Ph.D., The Psychometrics and Science of the Standardized Field Sobriety Tests, Part 1, The Champion, 48 (NACDL May 2003), Part 2, The Champion, 40 (NACDL, June 2003) (also available at www.stevenrubenzerphd.com). Acknowledging that officers trained in conducting SFST’s can have their skills degrade over time, and that modifications to the standardized procedures could result in an officer administering SFSTs according to outdated protocols, NHTSA recommends that law enforcement agencies conduct refresher training for SFST instructors and practitioners. NATIONAL HIGHWAY TRAFFIC SAFETY ADMIN., U.S. DEPT. OF TRANS., Development of a Standardized Field Sobriety Test (SFST) Training Management System, DOT-HS-809-400, (2001). A variety of so-called field sobriety tests are employed by police officers in the field during DUI investigations. None of these ‘tests’ has been statistically validated as reliable, nor have they been accepted in the medical or scientific community for the purpose of diagnosing alcohol intoxication. 1. The "Alphabet Test" – the variations employed are endless, but most involve saying the complete alphabet (without singing it), or stating a portion of the alphabet, such as starting from E and ending at U, or saying the alphabet backwards. In addition to a total lack of validation that the test can accurately separate sober individuals from those who are under the influence, common problems with this test include that many persons have not stated the alphabet since childhood, many persons do not speak English as their primary language, and that the inability to say the alphabet may be a product of sheer nervousness. Additionally, there has not been any standardization in scoring this exercise for DUI purposes. 2. The "Finger-to-Nose Test" – having its origin somewhere in the 1950's, this test seeks to have a person touch the tip of his nose with the tip of his finger, while tilting his head back as far as possible and keeping his eyes closed. The officer then calls out each hand, left, right, left, right, and then right left in an attempt to confused the subject. Besides a lack of validation, this exercise does not use standardized clues or scoring in order to establish what is a "pass" or "fail". 3. The "Pick-up-Coins Test" – most commonly used by the Chicago Police Department up until the 1970's, this test required the suspect to pick up the correct coin called by the officer (i.e. penny, dime, nickel, quarter). 4. The "Rhomberg Test" – having its origin in the detection of persons under the influence of drugs, the suspect is asked to close his eyes and tell the officer when 30 seconds have passed. The theory claimed is that a person under the influence of amphetamines will think 30 seconds has passed too quickly, while a central nervous depressant will cause the person to think that 30 seconds has passed too slowly. This "test" has yet to be accepted by the medical or scientific community. 5. The "Finger-to-Thumb Test" – the suspect is asked to touch his thumb to each fingertip in correct sequence starting with the index finger, and asked to count out loud "Four, three, two, one, one, two, three, four" and so forth. 6. The "Hand-pat Test" – the suspect opens the palm of the first hand upright, and then takes the other hand and pats his palm, flipping his second hand from palm to backside and so forth, sometimes while counting. Although most cases have allowed the HGN test to be admitted provided a foundation is laid, the HGN test may not be used to establish that the defendant’s blood alcohol concentration was at or above a certain level. In People v. Dakuras, 172 Ill. App. 3d 865, 527 N.E.2d 163, 122 Ill. Dec. 791 (2d. Dist. 1988), the Court held that the HGN test was inadmissible to prove a blood alcohol concentration due to Section 11-501.2 of the Illinois Motor Vehicle Code, which restricts proof of blood alcohol concentrations to specific analyses of blood, breath or urine only. The Dakuras decision is in accord with virtually all other states. See e.g., State v. Superior Court, 718 P.2d 171 (Ariz. 1986); Ballard v. State, 955 P.2d 931 (Alaska Ct. App. 1998); State v. Baue, 607 N.W.2d 191 (Neb. 2000). The admissibility of a defendant’s performance of field sobriety tests, and the admissibility of testimony interpreting the results of field sobriety tests, including the Walk-and-Turn Test and One-Legged Stand Test, is the subject of great controversy across the United States. In Illinois, there are very few cases discussing these issues. In People v. Sides, 199 Ill. App. 3d 203, 556 N.E. 2d 778, 145 Ill. Dec. 160 (4 th Dist. 1990), the Court held that the ‘finger-to-nose test’, the ‘walk-and-turn test’ , and the ‘one-leg stand test’ (sic) "were not so abstruse as to require a foundation other than the experience of the officer administering them", citing to People v. Vega, 145 Ill. App. 3d 996, 1000-01, 99 Ill. Dec. 808, 496 N.E.2d 501 (1986). "Indeed, so fundamental are such exercises of balance, coordination, and basic cognition to the activity of the average person that ‘even a layperson is competent to testify regarding a person’s intoxication from alcohol, because such observations are within the competence of all adults of normal experience.’" People v. Bostelman, 325 Ill.App.3d at 33. Other jurisdictions appear more critical regarding the admissibility of field sobriety tests, and regarding an officer’s ability to interpret the results of field sobriety tests. In State v. Homan, 89 Ohio St. 3d 421, 732 N.E.2d 952 (S.Ct. 1999) the Ohio Supreme Court held that police must strictly comply with established, standardized procedures in administering field sobriety tests, or the evidence is inadmissible. The Homan Court reviewed the NHTSA field sobriety test data, and stated that "the small margins of error that characterize field sobriety tests makes strict compliance critical." In United States v. Horn, 00-946-PWG (U.S. Dist. Ct. Maryland 2002) the District Court held that SFST’s do not meet sufficient criteria to be used as direct evidence of intoxication. The court further held that, although the SFSTs may be circumstantial evidence of impairment, that the use of descriptive terminology by a police officer that a subject passed or failed the tests, or that the subject exhibited certain clues, or that there is an elusive scoring criteria, unfairly cloaks field sobriety tests with ‘unearned credibility". "The officer should not be permitted to interject technical or specialized comments to embellish the opinion based on any special training or experience he or she has in investigating DWI/DUI cases." Further, improperly administered field sobriety tests were held to be inadmissible. Similarly, in State v. Meador, 674 So.2d 826 (Fla.App. 1996) the court held that although a defendant’s performance on psychomotor FSTs were admissible, any attempt by a police officer to attach significance to a defendant’s performance was inadmissible. "Reference to the exercises by using terms such as ‘test’, ‘fail’, or ‘points’, however, creates a potential for enhancing the significance of the observations in relationship to the ultimate determination of impairment, as such terms give these layperson observations the aura of scientific validity." Clearly, all of the previous information in this chapter is material in determining how to cross-examine a proponent of field sobriety ‘tests’ which are not in compliance with NHTSA standards, and those which have not been validated by the medical or scientific community. Prior to trial, defense counsel should determine whether the arresting officer received any field sobriety training, when he received the training, and what agency provided the training. Ask the officer whether he or she received any materials in the course, such as a field sobriety-training manual. Ask whether the officer still has the manuals in his or her possession. "Would you consider (the Illinois State Police) to be authoritative and reliable in the area of field sobriety testing?" If the officer is not conducting the SFSTs in compliance with NHTSA standards, confront the officer directly. The reliability of the officer’s testing, and his ultimate opinion regarding a subject’s intoxication, is directly dependent on the manner in which the tests were administered and/or interpreted. If the officer is employing tests, which have not been validated, point it out. "Isn’t it true that the National Highway Safety Administration has failed to validate the (finger-to-nose exercise) as capable of separating intoxicated individuals from sober ones?" "Do you consider yourself to have more expertise in this area than then U.S. Department of Transportation?" Defense attorneys should explore the possibility of employing experts in the field of Standardized Field Sobriety Testing. A qualified expert will tell you that when SFSTs are improperly administered or interpreted, the effect will be that the officer will arrest people that he or she shouldn’t have, and will fail to arrest persons who should have been arrested.